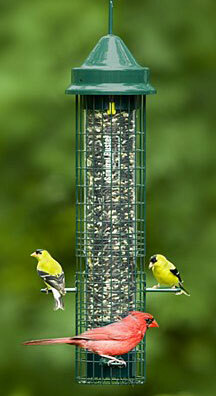 Bird Feeder Sale is On! Posted on August 10, 2017 by Ryan D.
It’s time for the annual August Feeder Sale in the Audubon Shop! 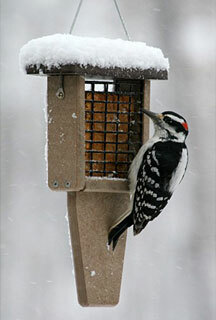 All month long, enjoy 20% off all seed, suet, and hummingbird feeders in the Audubon Shop, both in store and online. 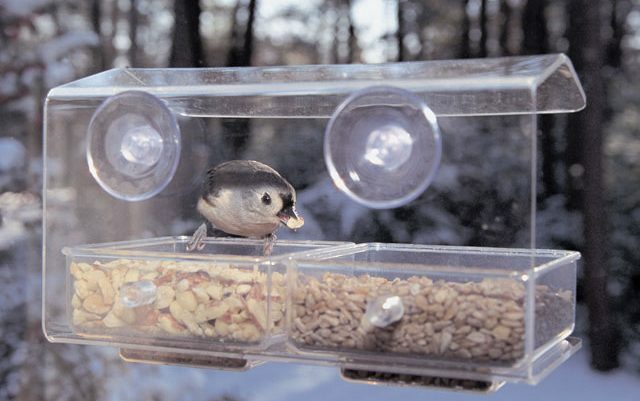 The patented “Squirrel Buster” technology in this feeder includes a weight-sensitive cage that closes the seed ports when a squirrel grabs hold but is also a great surface for birds like nuthatches and woodpeckers that prefer to cling to the cage rather than perch. 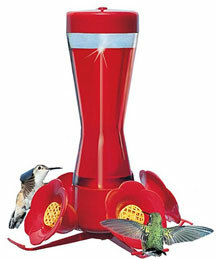 A gardener’s favorite, this classic pinch-waist hummingbird feeder has a glass bottle and four bright feeding “flowers” to attract hummingbirds to the nectar inside. 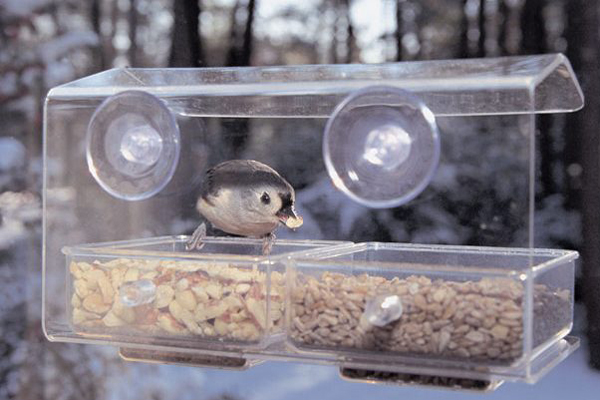 Made from recycled materials, this suet feeder is great for attracting both songbirds and woodpeckers, who will appreciate the extra support from the tail prop. This entry was posted in Shop on August 10, 2017 by Ryan D..